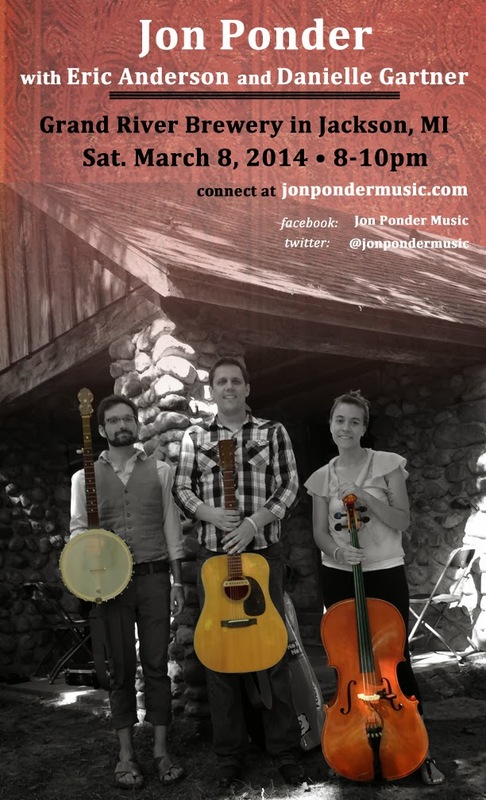 Jon Ponder: Show in Jackson Saturday, March 8, 8-10pm! Show in Jackson Saturday, March 8, 8-10pm! I'm excited to be playing a show this coming Saturday March 8, 8-10pm at the Grand River Brewery in Jackson, MI. My friends Eric and Danielle will be joining me and bringing their banjo, cello, mandolin, and harmony vocals! In addition to the sweet tunes, this brewery is fantastic: Delicious food and beer! And Ann Arbor folks, parking is free in Jackson, so come on out!